The risk of asbestos exposure for residents of Arkansas extends across the state. Arkansas has certain areas that place people at increased risk for exposure, specifically areas where the mineral was imported, where mining occurred and where improper demolitions took place. Arkansas has no Superfund sites in which asbestos is listed as an official contaminant, but the toxic mineral can still be found in areas that pose a risk to residents. Arkansas was one of many states that received tainted vermiculite from Libby, Montana. The vast majority of this vermiculite went to North Little Rock. The remaining shipments went to other Arkansas cities like Nashville, Hope, Pine Bluff and Little Rock. Occupational hazards exist in multiple fields, sectors and workplaces in Arkansas. Much of the danger is dependent on the daily functions of the occupation of an employee. Certain occupations provide more extreme hazards, like asbestos exposure, which can end up being fatal. 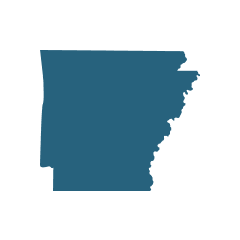 Although Arkansas is not generally associated with widespread asbestos exposure, the state does contain certain job sites where the toxic material was present. Employees and visitors of these locations should take caution and consider seeking medical attention if exposure occurred. Buildings in and near Fort Chaffee, Arkansas, were identified as containing asbestos and were demolished. According to a 2011 review by the U.S. Environmental Protection Agency (EPA), asbestos was known to be contained within the buildings that were destroyed. But through a series of improper decisions, the EPA allowed the Fort Chaffee building to be demolished using a new and unproven control method that had not been properly tested and approved by the agency. In December of 2011, officials from the EPA met with residents of the North Little Rock community to discuss possible exposures that occurred at a former vermiculite processing facility. EPA officials confirmed that contamination was present on the site and that further testing would be required to confirm more details. The vermiculite plant that previously existed in North Little Rock may have contained asbestos from Montana’s Libby Mine, which was considered much more toxic than other types of asbestos. 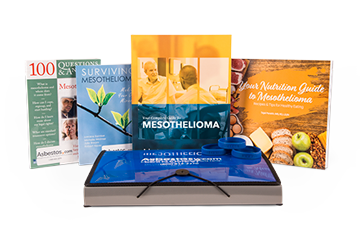 Arkansas, like most other states with known cases of exposure and subsequent development of cancers, has seen its share of asbestos lawsuits. Lawsuits dating back decades targeted manufacturers, employers and other negligent parties. These claims caused many companies to file for bankruptcy and settle claims through trusts. According to online legal resource Justia, nearly 50 asbestos lawsuits have been filed in Arkansas since the late 1980s. Some cases are class action lawsuits filed by a group of people injured by asbestos, and many name multiple defendants. Nationally, some plaintiffs were awarded hundreds of millions of dollars in verdicts. Others received more modest amounts through settlements or jury verdicts. Specific settlement amounts or jury verdicts of Arkansas lawsuits are often held private and are therefore not known. Because of more recent incidences of exposures in Arkansas through imported asbestos and water contamination, it is likely that more lawsuits will follow.